Life has a tricky way of throwing barbs at us when we least expect them, and that’s why I put Risk Assessment and Risk Management at the top of the list before I get into recommending any financial products for my financial planning clients. While still in my teens, I was involved in a traffic accident in which a motorcyclist was killed. My family was broke, and that event threatened to ruin my future. While in my 20s, my husband and I lost our nest egg because of ill-advised investments recommended by a stockbroker. These events shaped my entire outlook when it comes to financial planning and risk management. 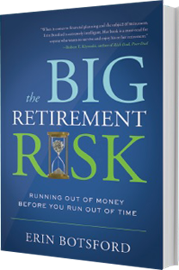 (Space prohibits me from elaborating on the challenges of my youth, but you can hear my story on my website www.botsfordfinancial.com or read it in my book, The Big Retirement Risk: Running Out of Money Before You Run Out of Time). Consider Long Term Care Insurance (and ALL potential risks) before you delve into the financial products in which you should be invested. Risks need to be identified and evaluated before they occur. After they happen, trying to find a solution is nearly impossible. 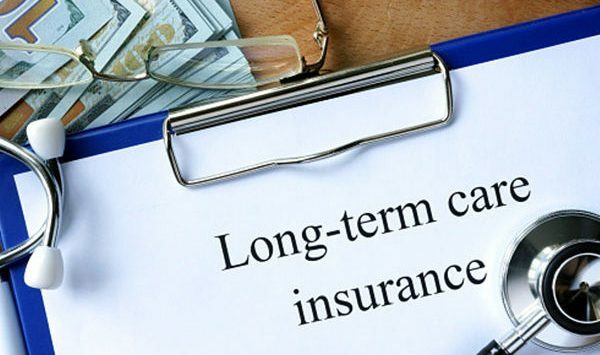 In the case of Long Term Care Insurance, it is very difficult and very expensive to buy a policy after the fact. The younger and healthier you are, the cheaper the rates. Long Term Care Insurance is an important consideration for anyone 50 or older (hello, PRiME readers!). of even moderately wealthy Americans (according to Kiplinger Today). For example, nursing homes can cost $70,000 per year or more for one person. Once you identify a risk (such as Long Term Care) you have two choices: Assume it, or Transfer it. Assuming risk tends to be the default method. We hope the negative event doesn’t happen. The second, far more proactive response is to transfer that risk by some legal means. In this case, the means would be to buy Long Term Care Insurance. For obvious reasons, I’m an advocate of the second option. Very specific conditions must be met before policies kick-in. Most policies won’t start paying until 90 days after you are disabled. They also generally require that the policy holder lose the ability to engage in at least two activities of daily living: eating, bathing, dressing, walking, toileting and continence. There can be many other conditions, so shop carefully. Shared policies and can be beneficial for couples. These can be attractive “deals” in Long Term Care policies. They give you and your spouse a pool of benefits. If you each buy, for example, a five-year shared-care policy, you actually get 10 years to split between you. Most long-term-care insurers offer such policies, which generally cost about 10% more than separate policies with the same benefit period. As an example of how benefits might be used, a husband might be the first to need benefits, but might only use them for three years. That would leave the wife with seven years when and if she needs them. If the cost appears out of reach, consider policies that pay less than lifetime benefits. This is a crystal ball kind of call, but the numbers don’t lie. Kiplinger’s Newsletter cites a study of more than 1.6 million long-term-care policies and found that only about 8% of 70-year-old claimants are likely to need care for longer than five years. That leaves 92% with claims of five years or fewer. Dawn Helwig, the study’s co-author, points out that the average claim period is even shorter, because most people don’t activate their policies until they are in their eighties. You can read the article here. It’s not just for nursing home care. You get to decide where the care occurs. Nursing homes obviously are included, but other options include assisted living, adult day care, home care, home modification and care coordination. Some policies even cover “future service options,” which are care options that don’t exist now but might appear in the future. It can pay others besides health care professionals. Some policies offer options for paying family members or friends who provide home care. These options vary greatly and require doing your homework up front, but there are situations where a family member can be reimbursed for providing care. Despite the plethora of risks that are simply a part of daily life, there is much you can do in advance to plan for unforeseen events. The problem is many people never do the appropriate type of risk management planning. Why? They simply don’t want to deal with it. In their mind, it’s negative, and there is almost a phobia about creating what might become a self-fulfilling prophecy. As I said in item #1, my life experiences and some of the things I have seen with my clients make me believe very strongly in taking the proactive approach. I suggest you do the same. Securities offered through LPL Financial, Member FINRA/SIPC. Financial Planning offered through Lifestyle Planning Solutions, a registered investment advisor. Investment advice offered through Stratos Wealth Partners, a registered investment advisor. Botsford Financial Group, Lifestyle Planning Solutions and Stratos Wealth Partners are separate entities from LPL Financial. 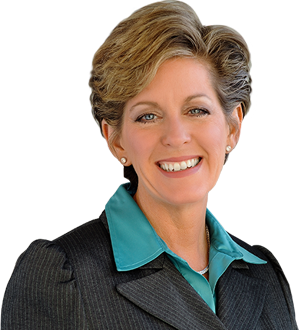 For a list of states in which I am registered to do business, please visit www.botsfordfinancial.com. This information is not intended to be a substitute for specific individualized advice. We suggest that you discuss your specific tax issues with a qualified advisor.